Bangladesh fire service and civil defense are working for saving the burning thing and works for saving the environment of Bangladesh. 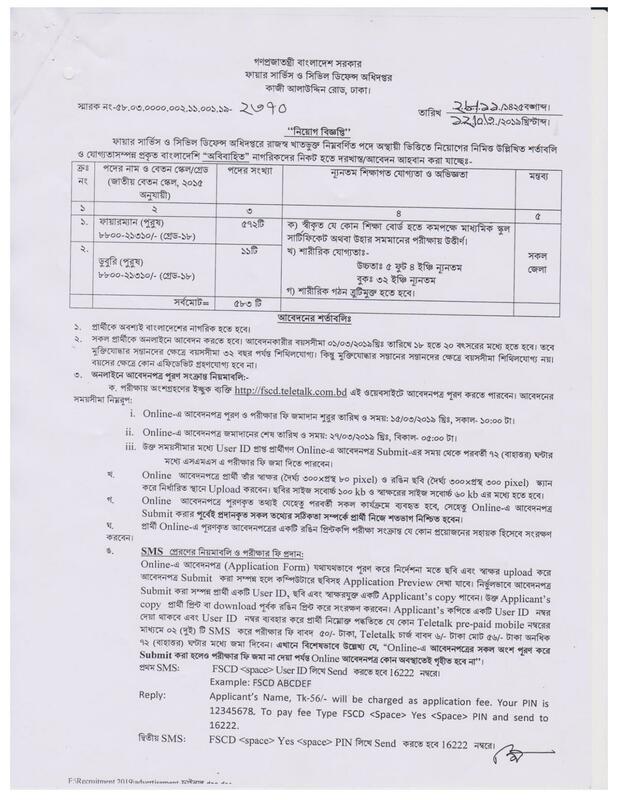 Yesterday the department of fire service and civil defense has announced a new job circular for a few numbers of advocates for the limited times contract. 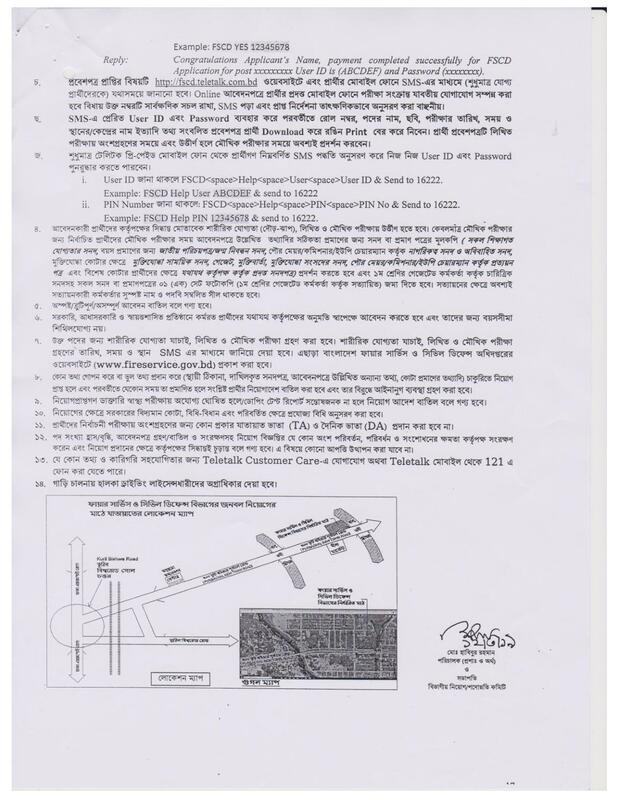 The circular has been given below with all the terms and conditions for applying to the Bangladesh Fire Service and Civil Defense Job Circular 2019. Applicants need to apply writing application letter have to pay for the exam fee within the deadline 6th and 7th March 2019. Otherwise it will be not applicable. Details all information of applying process has given to the circular. Download the circular from below and go for a review and to apply. After successfully applying the task they need to attend in the examination. And they have to select by the exam result. The conditions and details will be available into the circular. Applications Deadline: Application will be continued on 6th and 7th March 2019. Age: Minimum 25 to 40 years old from June. To get regular such government job circular stay with our page and share our post to your timeline. You can also comment on our Facebook page at www.facebook.com/Bdresultpage or message to our Facebook page directly to contact us and to get more information about this Bangladesh Fire Service and Civil Defense Job Circular 2019 then visit our website regularly at www.bdresultpage.com. Thanks for being with us.